San Diego State University opened a $90 million engineering and sciences complex Tuesday designed to foster collaboration between students and faculty and across different disciplines. The 85,000 square-foot Engineering and Interdisciplinary Sciences Complex features 17 research and teaching labs devoted to biomedicine, the environment, materials, energy, nanotechnology, bioengineering and wireless technology. 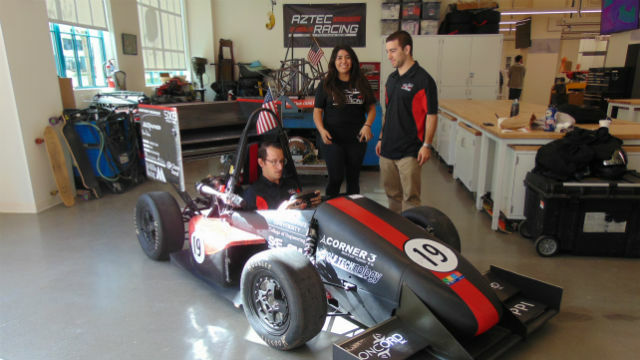 There’s also a 2,000 square-foot space bristling with machinery for student organizations to build their own projects ranging from race cars to rockets to robots. 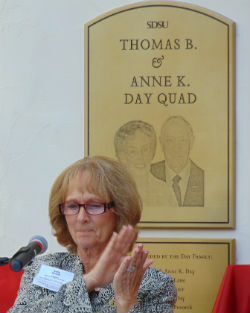 Sally Roush applauds supporters of the new building. “Today as we dedicate this Engineering and Interdisciplinary Sciences Complex, we celebrate the insights and innovations it will inspire,” she said. San Diego Mayor Kevin Faulconer, an SDSU graduate himself, said he believes the new complex will help the university secure a position among the top 50 public research institutions. For many students, the new building is a dream come true for their own ideas. 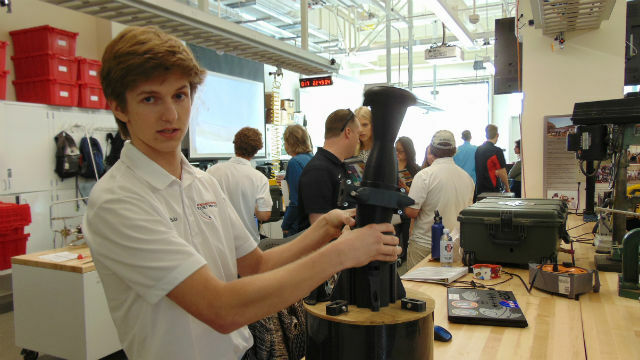 Karl Parks, president of the SDSU Rocket Project, said that with “our own high-quality space to work in 24 hours a day,” his team’s rockets are certain to be successful.